After an exhaustive $150 million renovation, Liberty Hotel becomes Boston's newest luxury offering. Liberty Hotel is perfectly situated in the heart of Boston's Beacon Hill neighborhood near the world's best medical complexes. 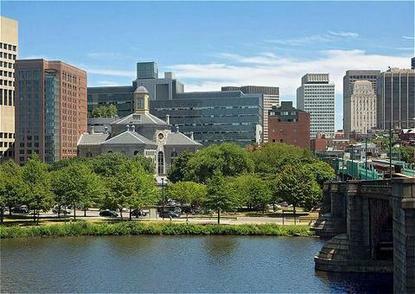 The Hotel is just a footbridge away from the Charles River and its Esplanade, offering easy access to a wealth of outdoor recreation, boutique shopping, entertainment and downtown Boston. The original 1851 granite jail structure, a national historic landmark, was carefully preserved and restored. Among the dramatic features preserved were historic catwalks linking public spaces, vestiges of jail cells within the hotel lobby bar and magnificent, oversize windows. The Hotel is comprised of 298 guestrooms, including 10 incomparable suites with dramatic river views three distinctive venues for dining and cocktails 6,000 sq. ft. of meeting space located within the original, historic structure and an adjacent, newly-constructed 16-story "tower". Among the amenities and services guests enjoy are four-fixture baths, in-room flat panel HD-LCD televisions, private bars, high speed wireless (WI-FI) and scalable fiber connection access, VOIP telephones operating on a fully converged digital network, 24-hour private dining, health and fitness center, and business services.